If you have hopped on the bandwagon heading towards the ‘perfect’ weight station, it may be extremely important to understand what works for your body type, and which diet and workout are perfect for you. New Delhi: Weight loss is an important part of being healthy and everyone tries to maintain the perfect weight according to their body and height. Weight loss is also extremely difficult for some people and they have to work harder to achieve their goals than others. 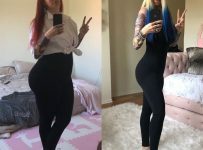 Weight loss is also made difficult by the constant suggestions, advice and tips you keep receiving from everyone around you and it gets tricky to choose who to listen to and who not to, what to do and what not, and which tips will actually work for you and which of them will backfire. If you have hopped on the bandwagon heading towards the ‘perfect’ weight station, it may be extremely important to understand what works for your body type, and which diet and workout are perfect for you. You could do this in various ways, and one of them could be the method of elimination. Start out by picking out the weight loss tips that are absolutely useless and could, in fact, be unhealthy, and get yourself a starter kit ready to lose weight. One very common advice every gym goer listens to very frequently is to drink protein shakes to lose weight and build muscles. However, if you do not pay close attention to the ingredients of the protein shake you buy, you may end up taking in more calories than you otherwise would, and other contents that would make you feel bloated and make your stomach gastric. Diet trends are a thing, and one such diet trend that made its way to the lives of people trying to lose weight is the one-food diet. The diet, as the name suggests requires you to eat only one food item. And even though you really like the one thing you are eating, this diet could be really unhealthy as it deprives you of nutrition. the military diet restricts your calorie intake to 1000 per day, which is not practically feasible. If you work a full-time job and have a regular body, these calories will not be enough to fuel energy for the whole day. The less calorie intake can slow down your metabolism, and in fact, cause a weight gain in the long run. Immediate effects of little to no energy in the body could be dizziness, fainting and hypoglycemia or low blood pressure. The ketogenic diet tries to put your body on the process of ketosis, where the body burns fat for energy, instead of carbs. The diet may be effective in helping you lose weight, but the adverse effects it has on your health may not actually be worth it. Another diet that people follow religiously to lose weight is intermittent fasting. Some studies say that fasting may be helpful in losing weight, but staying hungry for such long hours can cause bloating, lack of energy, make you cranky, and dehydrated.